Garage: "Parking type: Garage - Double"
Size: 3,093 sq. 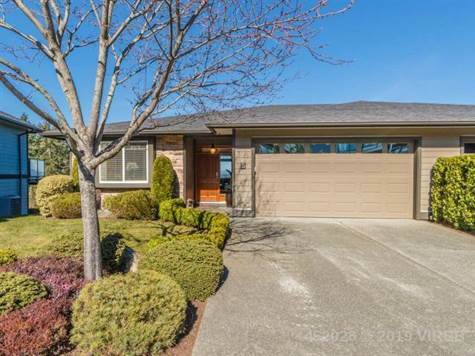 ft. "Basement: 1200 sqft, 1st Floor: 1555 sqft, Finished: 2755 sqft"
Some of the best ocean views you'll find anywhere from this luxury level entry/ walk out basement home in the seaside pearl Ladysmith. Beautifully finished and like new condition are just the starting point for all the attributes this home offers. 9-12' ceilings, walls of glass to take in the open views, extensive hardwood, tile, granite counters, gorgeous en-suite, heat pump and impressive feature fireplace. Two bedrooms plus den on main plus another down, 3 baths, amazing open games/family room down ideal for entertaining or it's own guest area. Big deck, patio and yard area ( private) upscale development & no thru road. This is Island living at it's finest! !